Mr. Damato founded Midawi Holdings Incorporated (MHI) in 2009 to take on the growing challenge of financial literacy among youth and adults, utilizing his entrepreneurial and management experience to lead the company. MHI is developing a web based product to integrate financial, education, and communication tools for today’s family. The company’s mission is to improve financial literacy using a secure, engaging suite of online tools that are immediately practical and relevant for the users. Previously, Mr. Damato served on the Crimson Investment Team as the Chief Operating Officer of one of their Holding Companies, the Tyden Group. 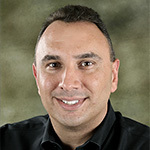 Mr. Damato’s past roles include Sr. Vice President Americas at American Standard’s Bath and Kitchen Business, Vice President, Global Business Development at American Standard’s Trane Commercial Systems business and Vice President Marketing at GE Lighting. Mr. Damato graduated from Northeastern University with a bachelor’s degree in marketing and business administration. Mr. Benis purchased his first company, Lending Trimming, in 1976 and grew the business for over twenty years, successfully selling Lending in 1997 to William E Wright, Ltd., a corporate acquirer. He currently owns five operating companies including: On the Right Track Systems, Inc., a specialty products supplier to the health care industry; Cole Systems Associates, Inc., an IT solutions and software applications provider; OrderPad, which leverages benefits of Tablet PC’s and provides mobile sales professionals an integrated product to manage the entire sales process from a single device; Hudson and Broad, a global manufacturer of specialty retail fixtures; and Wyla, Inc., a specialty products supplier to craft and home sewing retailers. Mr. Benis typically is a co-founder of companies and provides hands-on financial and operating support to his management partners, helping the companies from formation to becoming profitable middle market businesses. He has assisted day-to-day managers with strategic planning and sales strategies, manufacturing and assembly set-up, and financial and information system controls. Since the 1980′s, he has been an active investor in, and incubator of, numerous private companies in niche manufacturing, information and business services, and specialty commercial products. Mr. DeLellis is a Managing Director at The Resource Group responsible for advising various portfolio companies on commercial matters and operational initiatives. Prior to joining TRG, he was a Managing Director of Intrepid Capital Partners, a financer of global opportunities with private equity funds, and was a member of the Intrepid Capital Partners Deal Team. He was also an Executive Director with the Hirco Group, looking after the company’s Real Estate Sales & Marketing, Healthcare, Education, Hospitality, Retail and Entertainment interests. Prior to that, Mr. DeLellis’ background includes over 20 years of executive experience with two world-class companies: JPMorgan Chase and GE. He was a Global Executive at JP Morgan where he built and operated JP Morgan’s Chase Consumer Banking centers in India, Southeast Asia and Latin America. At GE, Mr. DeLellis served as President of GE Quartz Japan leading one of GE’s Advanced Materials businesses in Asia-Pacific. He also worked with GE Lighting managing large global product lines. Mr. DeLellis has served as Vice Chairman of the American Teleservices Association, a non-profit trade organization dedicated to the advancement of companies utilizing contact centers as an integral channel of operations. Mr. DeLellis received a B.S. in Economics & Marketing along with an MBA from Drexel University. He also studied at the London School of Economics in the UK and George Washington University in Washington DC. Mr. Hall currently serves as CEO of TreeFrog Intelligence, a Social Loyalty company whose technology leverages Net Promoter ScoreTM and social media activity to drive customer identification and engagement. Prior to this, Mr. Hall served as Vice President of Business Development at RiverGlass Inc. There he led the shift in business market focus from Homeland Security to the eDiscovery market, and successfully built the sales team and developed numerous channel partners to drive distribution. The product was adopted by a number of the country’s most prestigious law firms and Fortune 500 companies resulting in the company being acquired by Allen Systems Group (ASG) in September, 2011. Before RiverGlass, Mr. Hall served as VP of Business Development for Trustwave, a $150M private company that is the recognized leader in PCI compliance and data information security. Mr. Hall joined Trustwave through its acquisition of Vericept where he served as Vice President of Corporate Development and a member of the senior management team. During his time at Vericept, Mr. Hall built and managed partnerships with industry-leading information security vendors and service providers to generate multi-million dollar annual revenue streams for the business. Before joining Vericept, he worked for River Ridge Consulting Group where he focused on both public and venture backed clients. At River Ridge, Mr. Hall’s responsibilities included merger and acquisition strategy, development and execution of product marketing and sales plans, as well as providing strategic recommendations to executive management, venture investors and corporate Boards. Previously, Mr. Hall founded the two companies StorageZip Technologies and WebLawyer.com and managed all aspects of sales and business development. Earlier in his career, he worked as an analyst at a leading Wall St. investment bank. Mr. Hall was named to the annual “40 Under 40″ list in Boston Business Journal for Business and Innovation Leaders under 40 years of age. He earned a BA from Northeastern University, and holds a joint degree in English Literature and American History. Mr. Cerminaro has over 28 years of experience in private equity, private credit, capital markets and leveraged finance. He currently serves as the President & CEO of Cerminaro Group LLC, a private equity advisory and investment firm. The firm works with private companies and management teams to assist them with business model assessment, strategic growth initiatives, balance sheet restructuring and capital formation. The firm is currently working with private companies in various industry sectors, including distribution & logistics, financial services, life sciences and energy. Mr. Cerminaro serves as the CIO and head of the investment committee. Prior to founding Cerminaro Group LLC, Mr. Cerminaro co-founded Sound Harbor Partners, a middle market private credit and CLO manager with $2.2 billion of AUM. While at Sound Harbor he served as a member of the board of directors, the management committee, the investment committee and chairman of the external relations committee. Mr. Cerminaro was one of the original senior partners that helped launch BlackRock Private Equity Partners (“PEP”), a global private equity fund-of-funds platform with over $5 billion of AUM. While at BlackRock PEP, Mr. Cerminaro served as a member of the management committee, chairman of the investment operations committee, chairman of the portfolio valuation committee and chairman of the investment committee. He has committed capital to over 100 private equity firm around the world, including venture capital, buyout and private credit managers. He has also co-invested about $2 billion of capital in 40 direct investments alongside leading private equity firms in the U.S. and Europe. Prior to BlackRock, Mr. Cerminaro was a co-founding member at Banc America Capital Markets, in their private equity advisory platform, within the leverage finance group. Mr. Cerminaro has served on the advisory boards for a diverse group of global private equity firms in the U.S. and Europe. 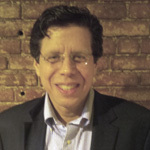 He currently serves on the board of directors for ACG NY Chapter, Diligent Consulting Group, ClickMail Marketing, and DoughMain (observer position). He received his MBA in Finance from Texas A&M University and his BS with a double major in Economics and Marketing from the State University of New York at Brockport. Mr. Collins is Founder and Managing Partner of M. Collins Ventures LLC, a Venture Capital Fund focused on Therapeutic Immunology, Ultrafast Lasers and Quantum Computing. Mr. Collins was also Founder and Managing Partner of Battelle Venture Partners in 2003, an early-stage Venture Capital Fund focused on IP from Battelle Laboratories and the six US National Laboratories managed by Battelle for the Department of Energy. Prior to this, he demonstrated major successes in the fields of life sciences, electronic materials, communications and software for three decades as Founder and CEO of Data Science Ventures (DSV I-IV). He currently serves as chairman of the Boards of Directors of portfolio companies 360ip and FemtoBlanc Inc. In addition, Mr. Collins sits on the Boards of publicly traded Kopin Corp. and Inovio Pharmaceuticals, as well as on the Board of privately held Pharos LLC. He is also chairman of PD-LD, Inc.’s Board. Mr. Collins is a member of the Advisory Council to the Chemical Engineering Department at the University of Delaware, a member of the Leadership Council of the School of Engineering and Applied Sciences at Princeton University, a member of the Graduate School Leadership Council at Princeton University, and a member of the Systems Biology Advisory Council at the Institute for Advanced Study, Princeton, N.J. He chaired President Ronald Reagan’s Task Force on Innovation and Entrepreneurship and served as technology policy advisor to President George H.W. Bush. He served on the New Jersey Governor’s Commission on Science and Technology, the New Jersey Governor’s Superconductivity Roundtable and was a member of the Research Roundtable of the National Academy of Sciences. A former president, director and chairman of the National Venture Capital Association, Mr. Collins was the recipient of the 1989 University of Delaware Medal of Distinction, the 1990 New York Venture Forum Award, and the 1992 Delaware Valley Venture Group Award. In 1968, Mr. Collins founded Data Science Ventures (DSV), a pioneering venture capital firm that had offices in Princeton, N.J., and Newport Beach, Calif. For 30 years he was a managing partner in four DSV partnerships that specialized in early-stage financing of such high-technology companies as Datapoint, General Automation, Tandem Computers, Datacom Systems, The Liposome Company, Apollon and Alkermes. In 1997, he became a special limited partner of Cardinal Partners, the successor to the DSV series of partnerships. Mort earned his B.S. degree in chemical engineering from the University of Delaware, his M.S. and PhD degrees in chemical engineering from Princeton University, and an honorary PhD in Science from the University of Delaware.